The Robins put in a fantastic performance as four well-worked goals saw them to a comfortable 4-2 victory at Newcastle Benfield. After a dominant start, Shields were able to enter the break 2-1 up after fine strikes from Gary Day and Ryan Carr. The dominance continued as Cam Cunningham and a second for Carr gave the Robins a three-goal advantage. And despite a late consolation from Paul Brayson, the visitors held on for an impressive three points. After a dominant opening 10 minutes, it was the visitors who took the early lead when, in the 14th minute, an excellent pass from Craig Spooner released Day through on goal, leaving him with a simple finish to give the visitors the lead. Despite Benfield forcing Shields keeper Michael Robinson into a number of excellent saves, they soon doubled their lead when Carr was played through on goal before calmly slotting the ball past Andrew Grainger. The hosts did pull a goal back on the stroke of half time when after Robinson couldn’t collect the ball from a corner, Scott McCarthy was on hand to hammer the ball into the bottom corner of the net. As the second half began, it became clear that the Robins weren’t done as Day’s pass released Cunningham through on goal in the 51st minute, with the young midfielder made no mistake from six-yards out. Whilst the hosts were enjoying a fair amount of possession in this half, they were struggling to do much with it going forward. They were made to pay as four minutes later, Carr powered towards the Benfield box before unleashing a ferocious shot past the keeper and into the back of the net from 20 yards out. The hosts, in search of their second of the game, threw bodies into the Robins box and after 80 minutes, they finally had their breakthrough when Brayson collected the ball six yards from goal before hammering the ball into the back of the net. 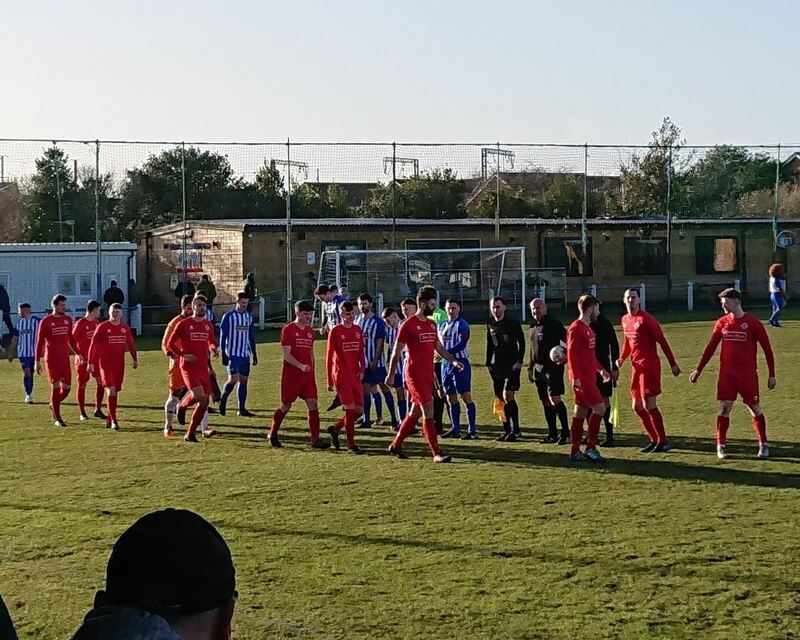 Benfield had one chance in the 86th minute when the ball fell to the feet of ex-Robin Dean Holmes, who was only yards away from goal, however, his attempt was scuffed wide; summing up the game for the hosts.